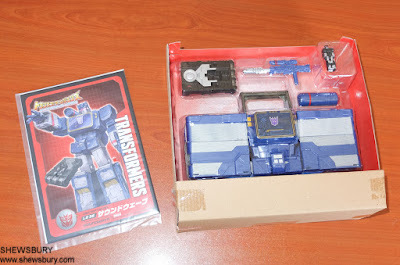 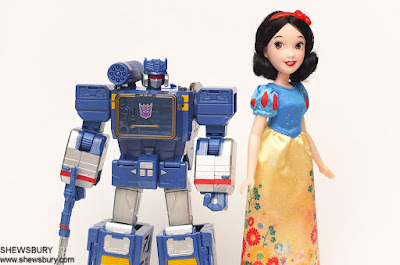 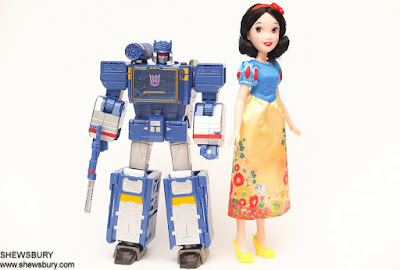 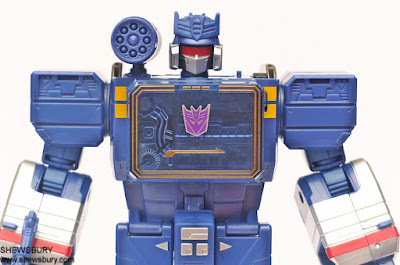 This is the popular Soundwave Transformers mecha figure from the series of "Transformers: Titans Return" which is an internet-based animated series created by Adam Beechen and F.J. DeSanto, and produced by Machinima, Inc. and Tatsunoko Production, in partnership with Hasbro Studios. 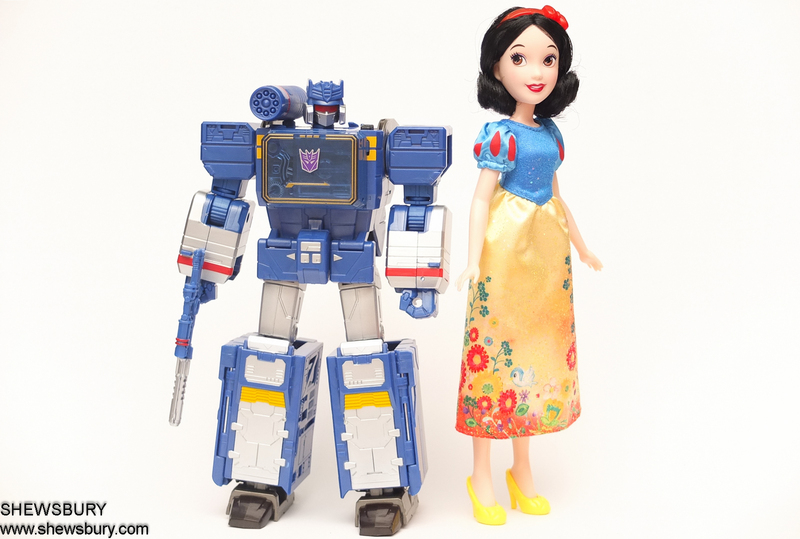 "Transformers: Titans Return" is based on the Transformers franchise, it is the sequel to "Transformers: Combiner Wars" and the second installment of the "Prime Wars Trilogy". It was released for the U.S. audience in November 2017 and later for the international audience in January 2018. 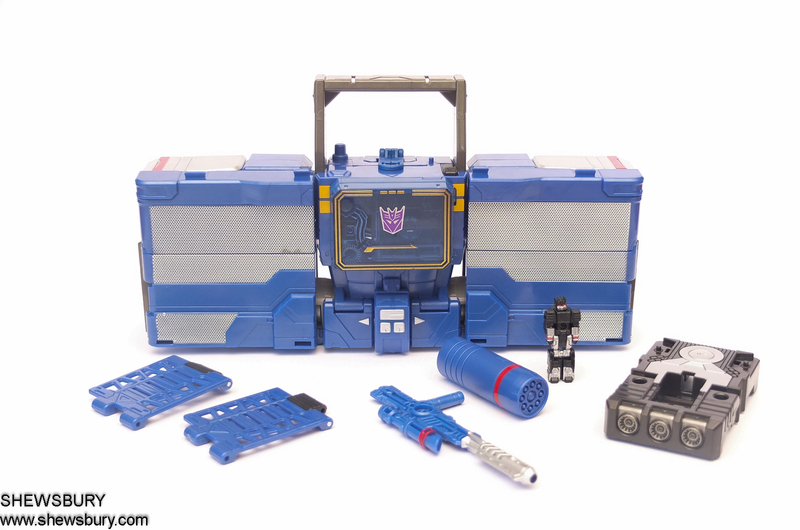 And this is Soundwave in the boombox mode with all the additional accessories and equipment and of course Soundblaster as the Titan Master Partner which eventually will transform into the head of Soudwave robot mode. 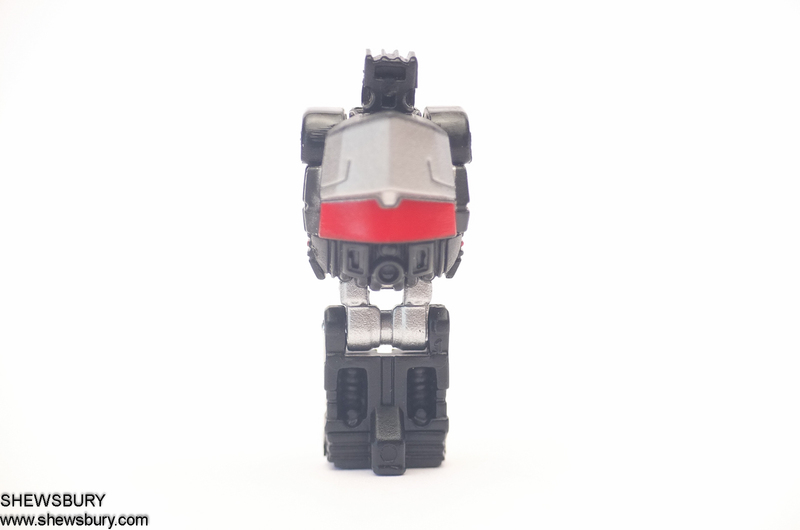 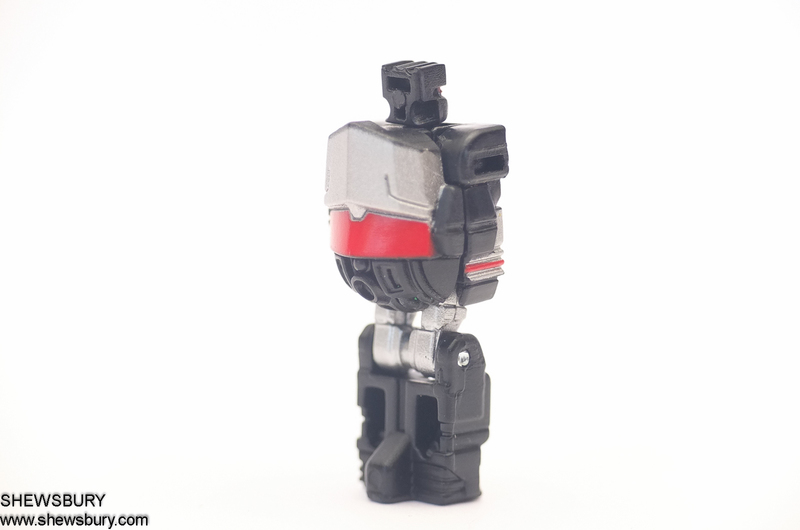 Not much articulation on this mini figure but whatever he got is enough for him to transform into the head of Soundwave. 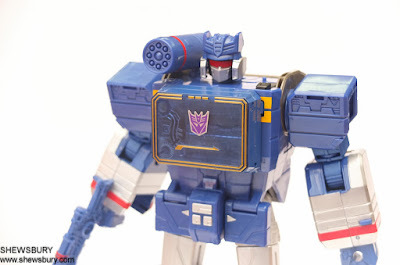 Being in "Leader Class" this Soundwave is quite tall large in size, more or less like those "Master Piece" figure size. 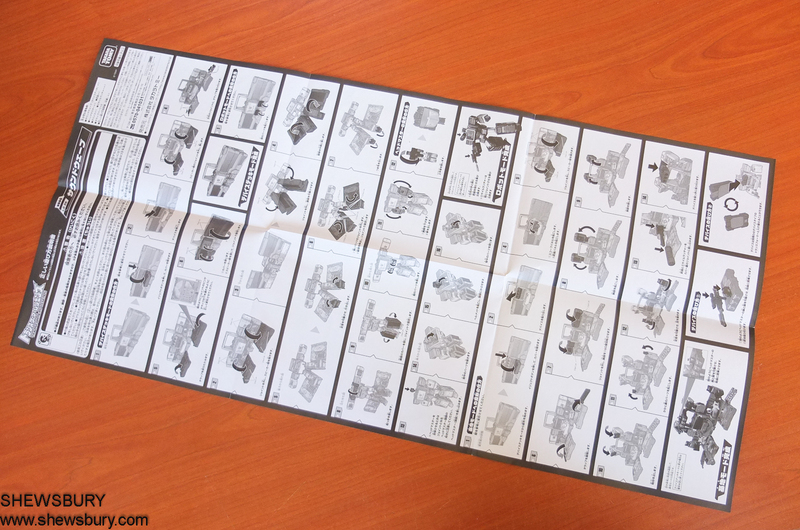 If you're Gundam model kit people, the size is around almost those 1/60 scale GunPla. 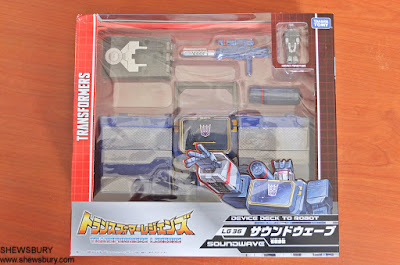 The articulation is very decent, the play value is also exciting and it comes with all the familiar gimmicks associated with Soundwave. 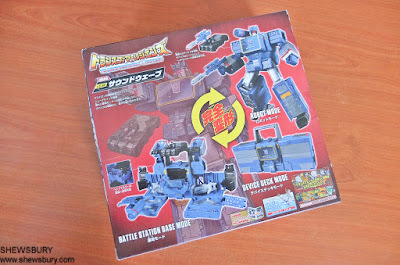 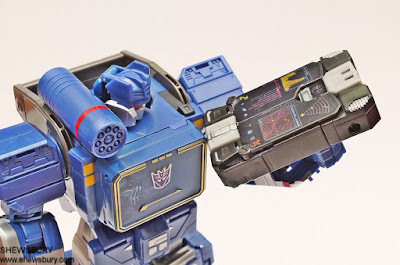 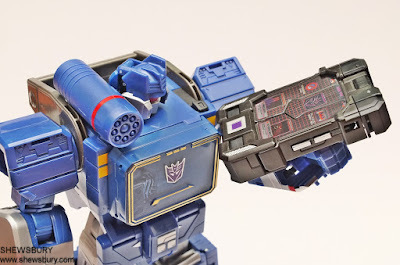 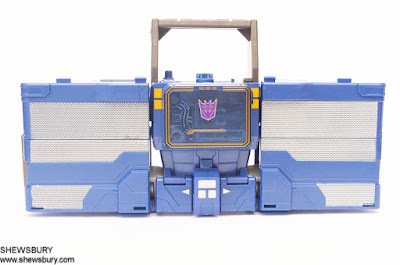 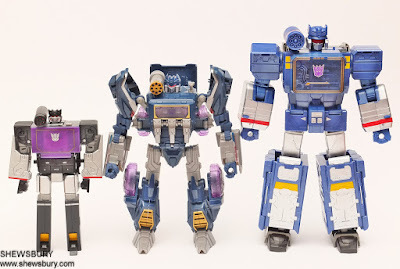 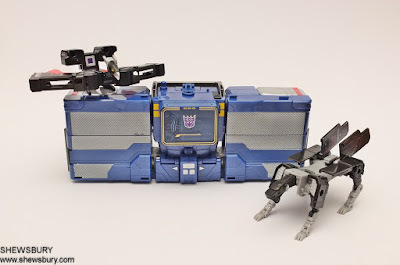 This is a very fun toy and a decent item for collectors depending on their personal taste and preferences but kids will certainly love this "triple-changer" Soundwave. 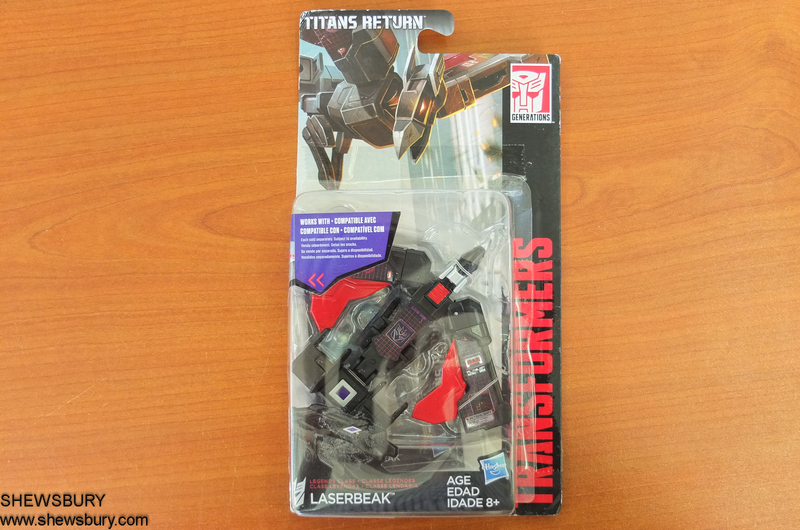 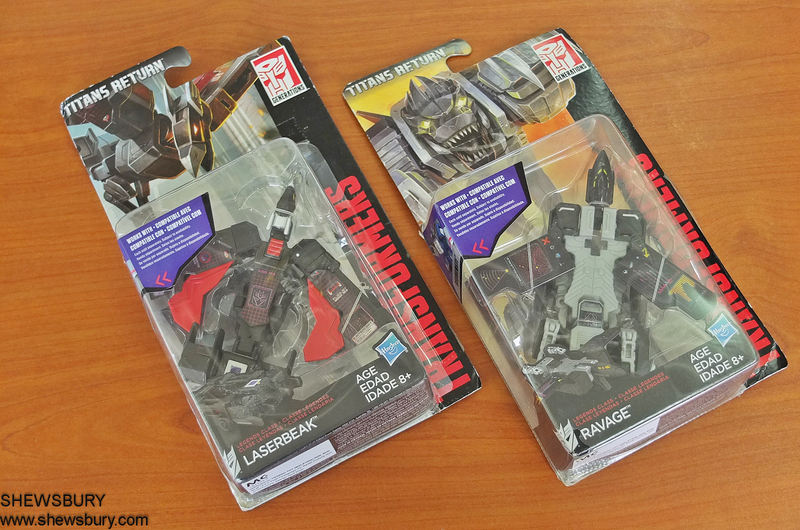 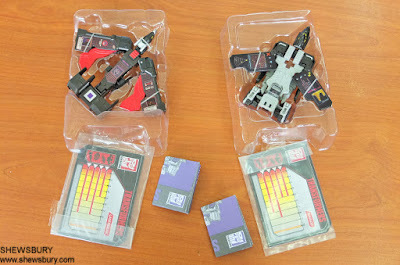 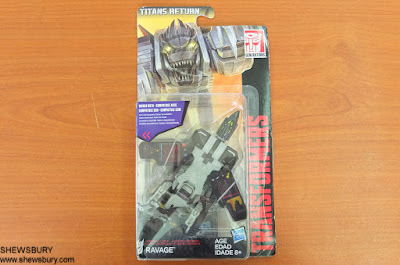 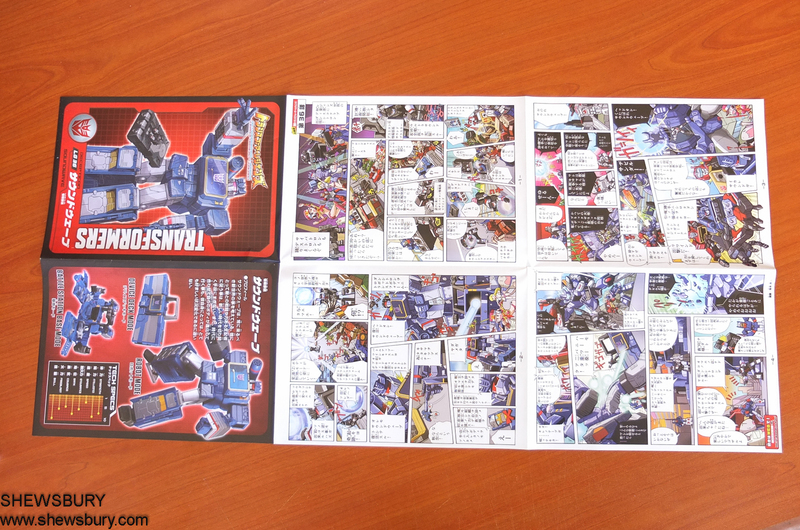 In addition to Soundwave, we will also take a look at these Legen Class Transformers Titan Return Laserbeak and Ravage. 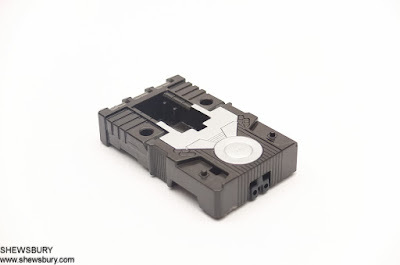 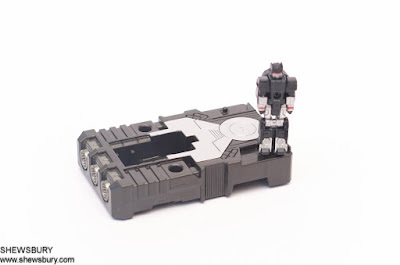 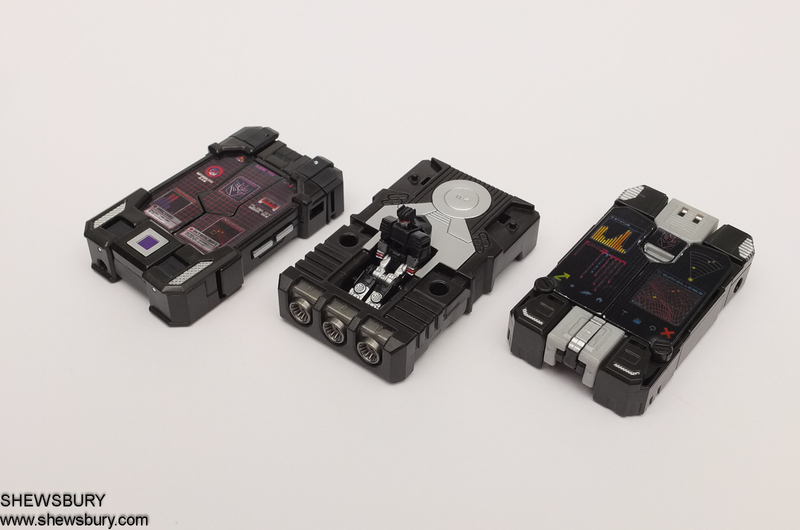 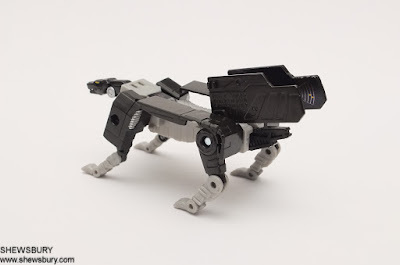 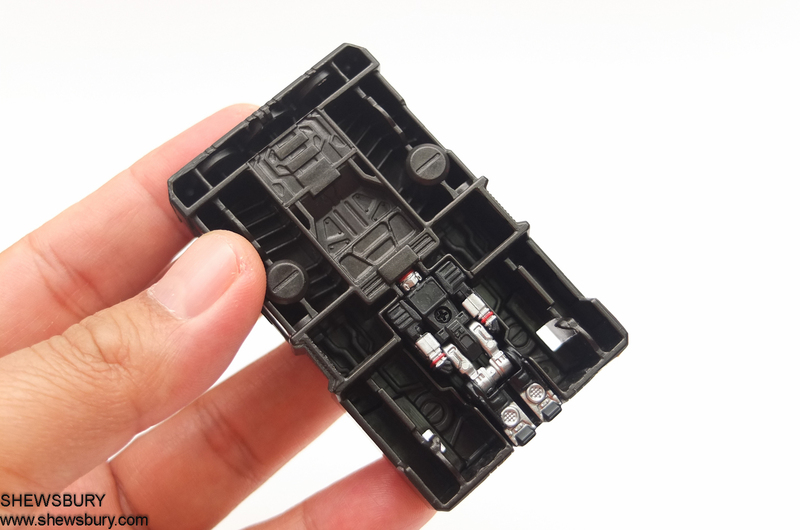 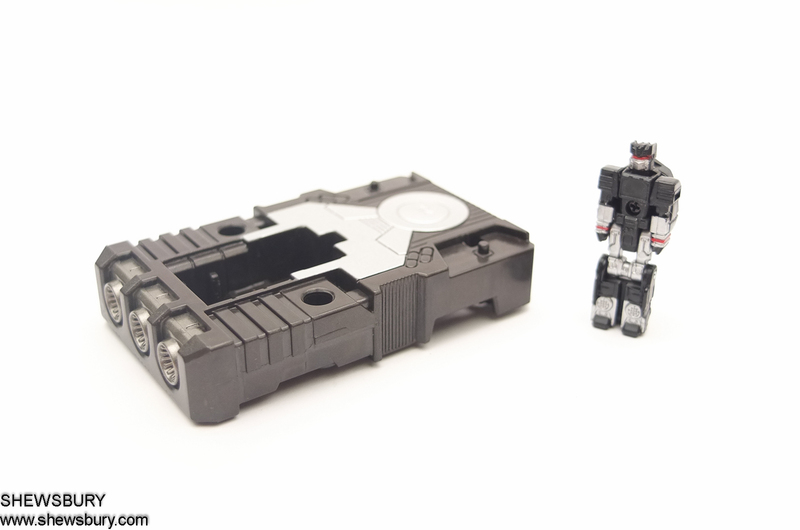 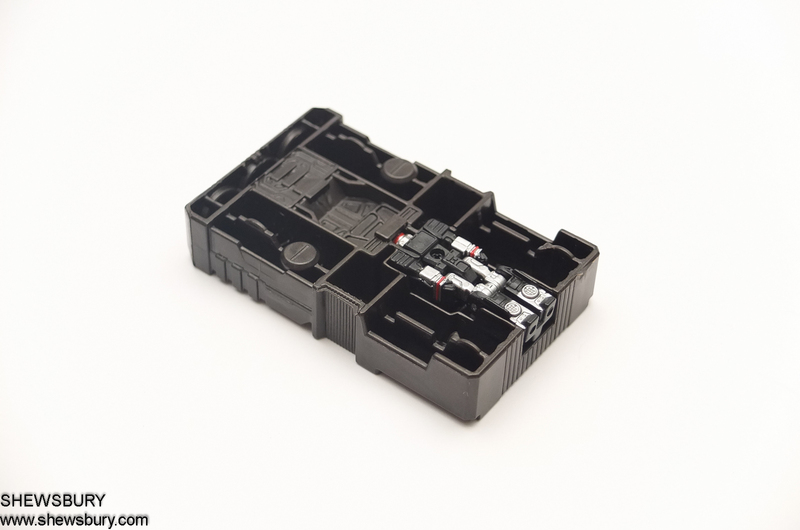 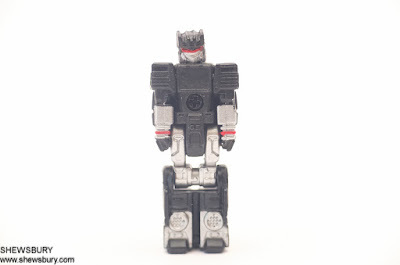 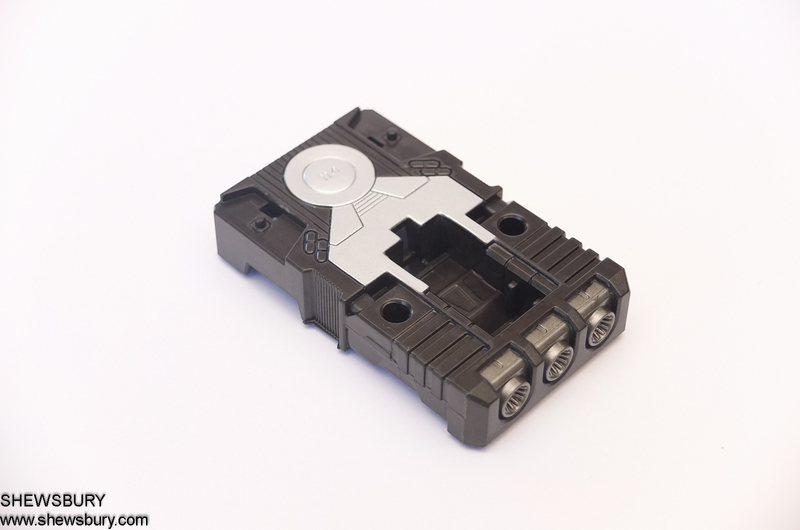 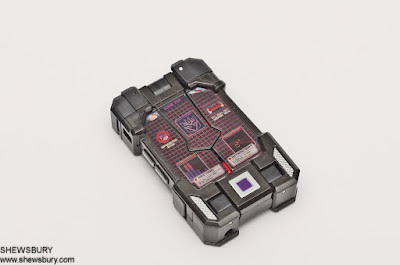 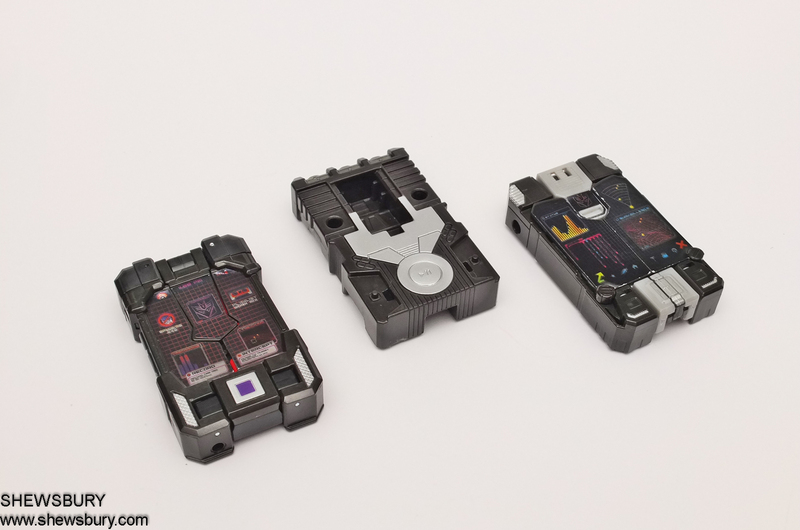 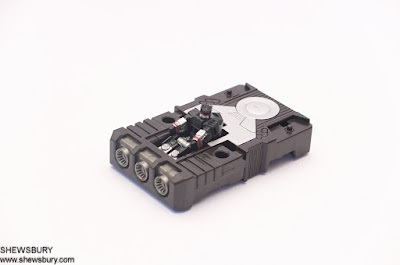 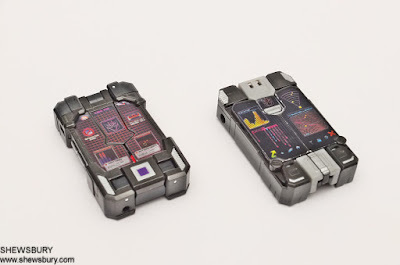 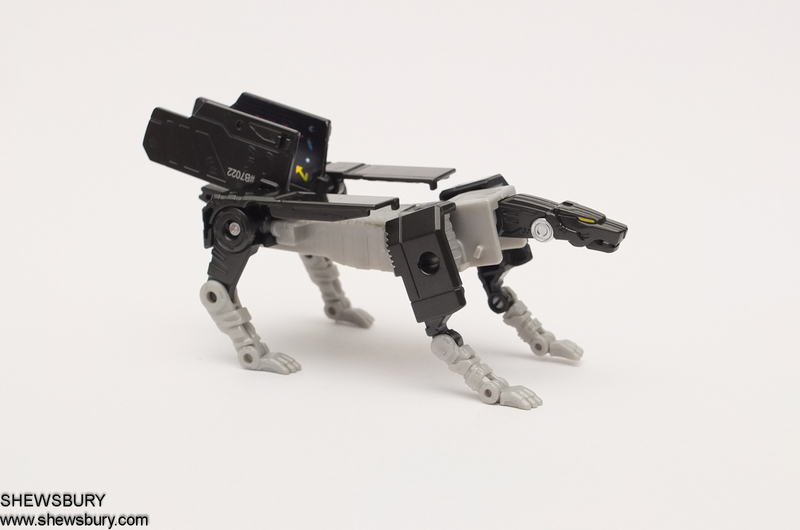 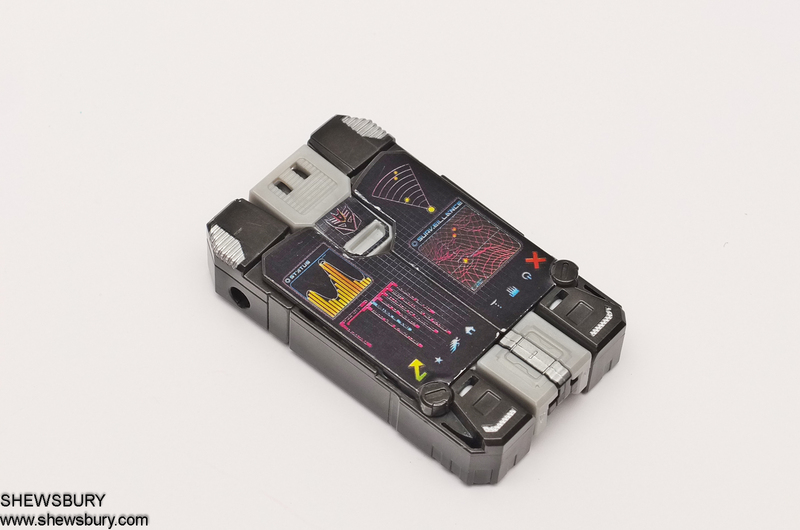 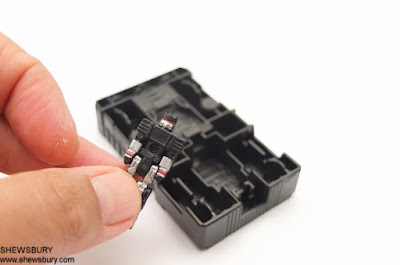 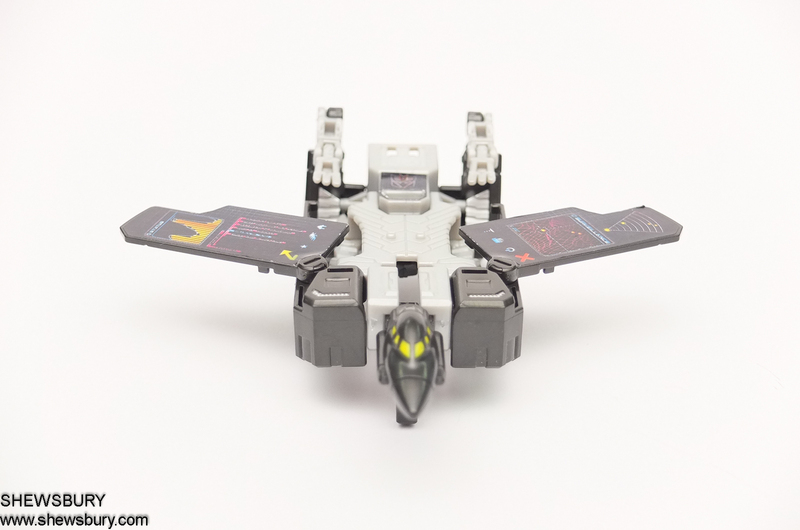 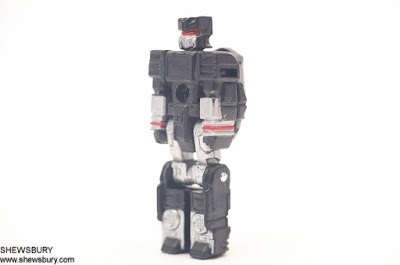 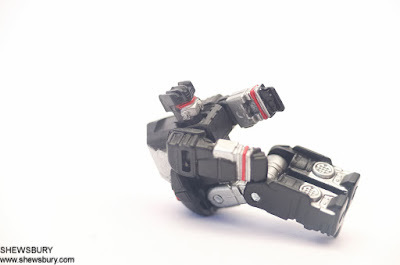 Apart from their default condor and panther mode, these "spy-tablets" are also "triple-changer" type as they can also change to another additional alternate mode which is some sort of forklift and some jet. 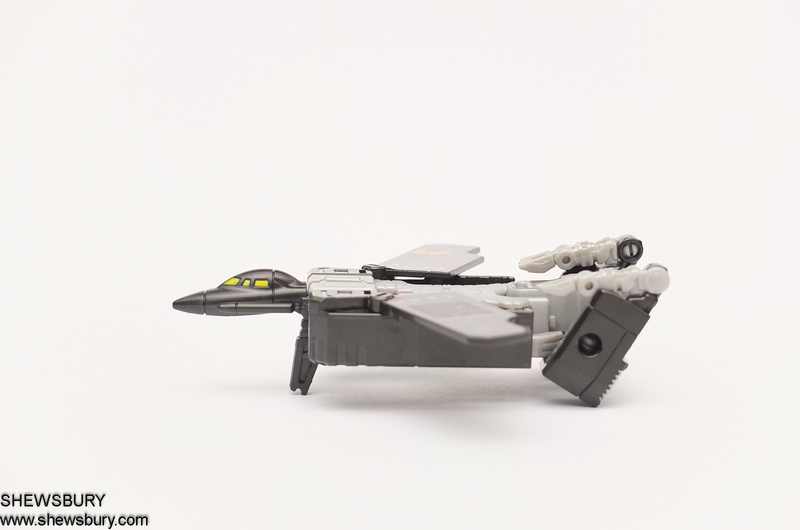 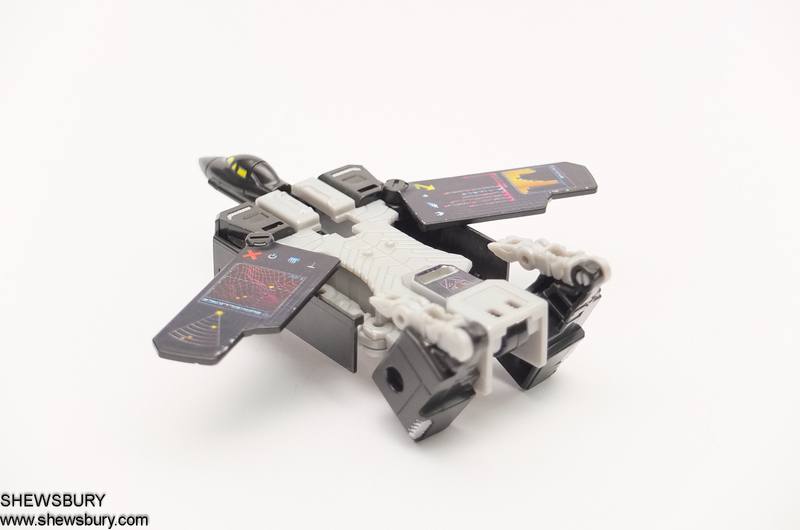 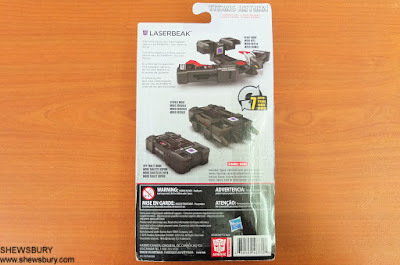 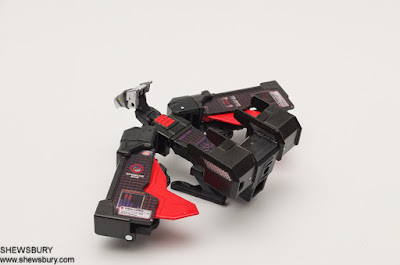 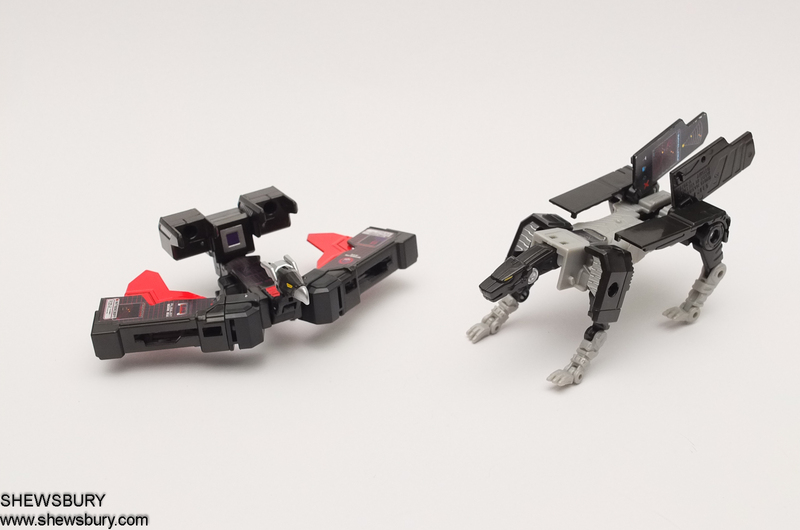 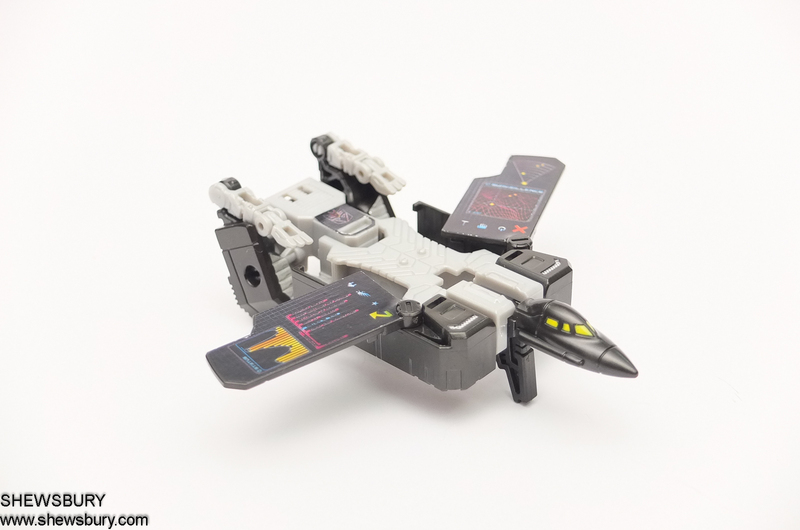 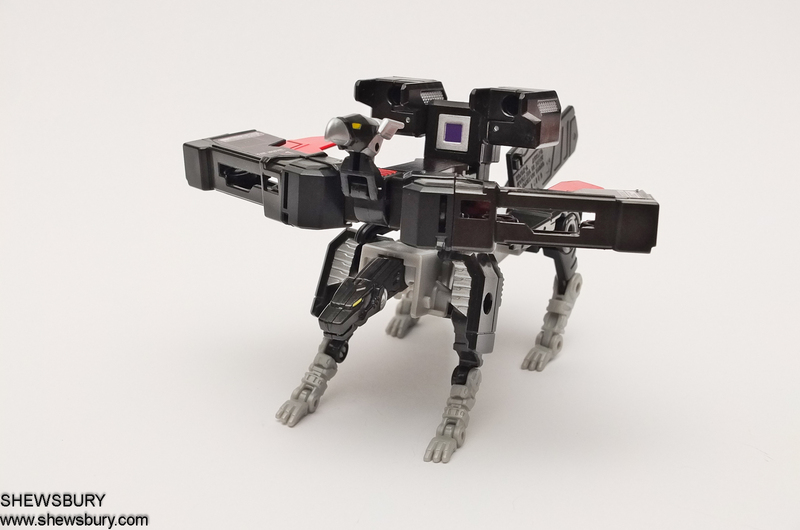 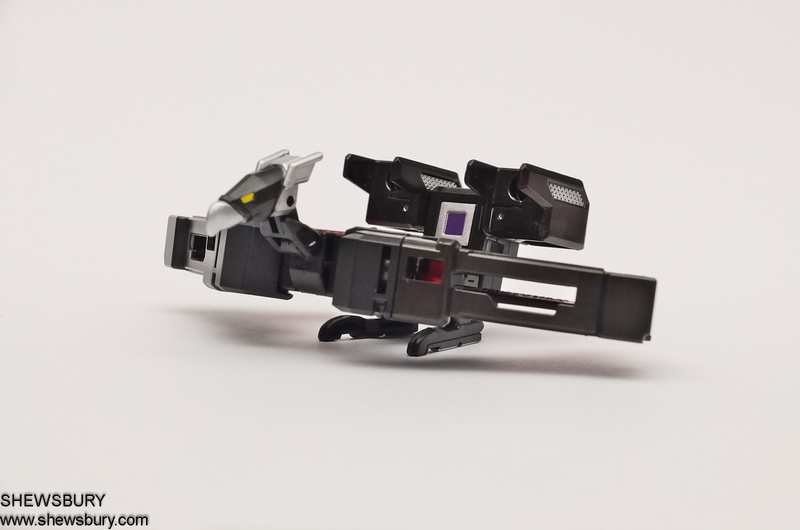 Apparently this version of Laserbeak have more black color than red - the tradition is that it suppose to have more red color on it. 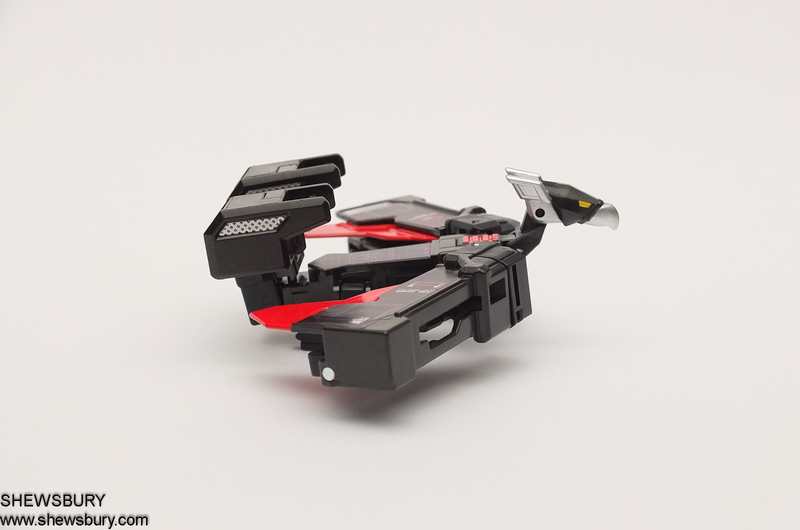 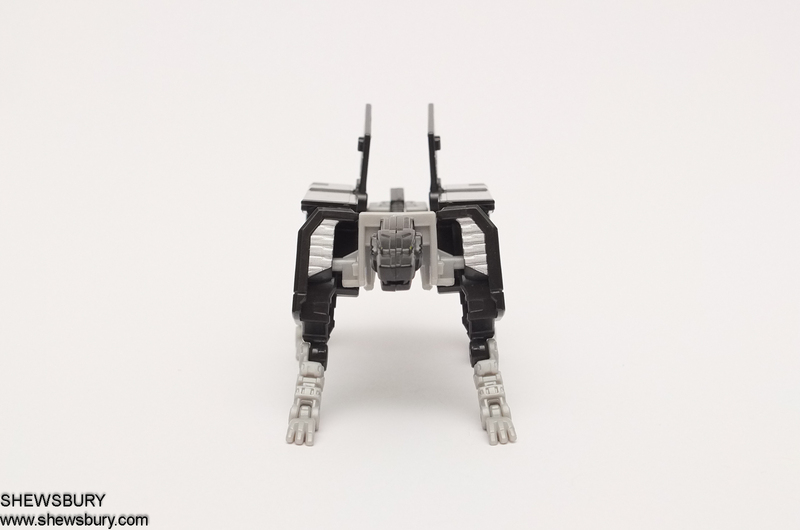 In general, it does look and feel like Laserbeak but in my opinion it's not that great, just above average - it's kind of OK.
And certainly you got to pose them around or with Soundwave because it is only then that all of them are complete as one. 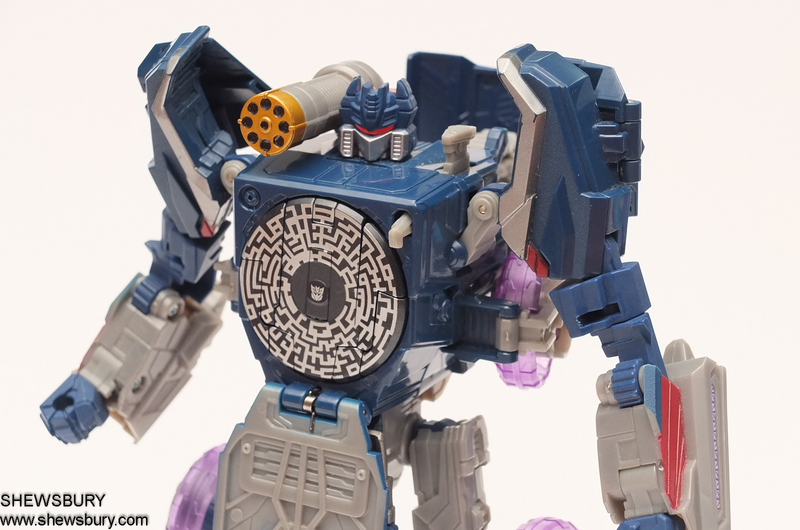 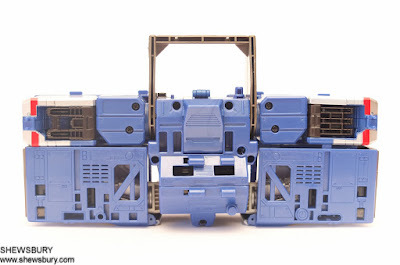 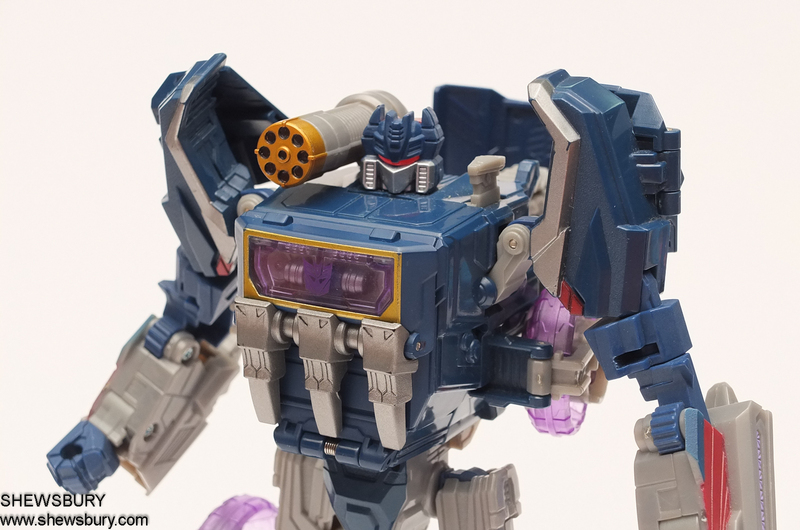 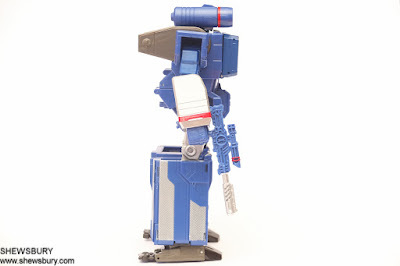 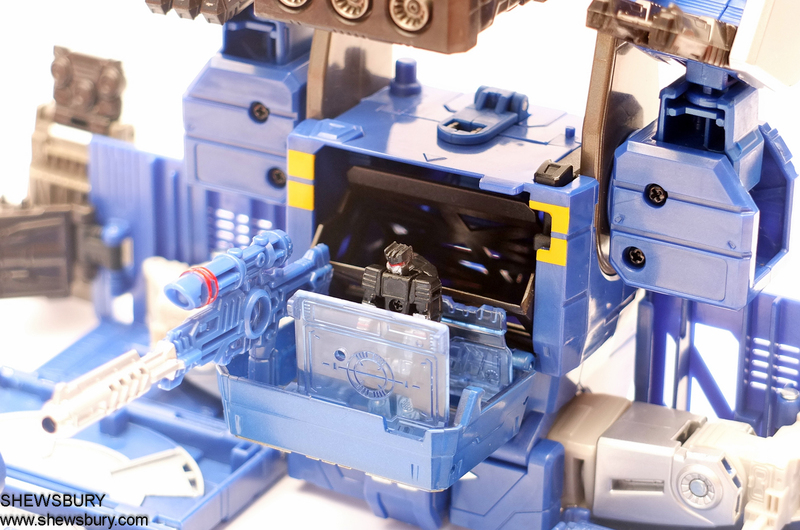 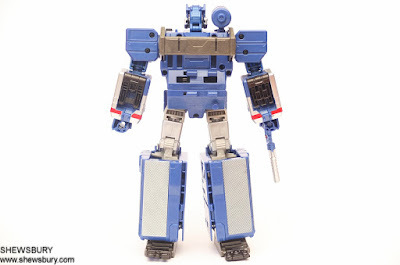 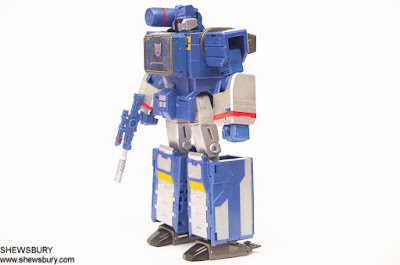 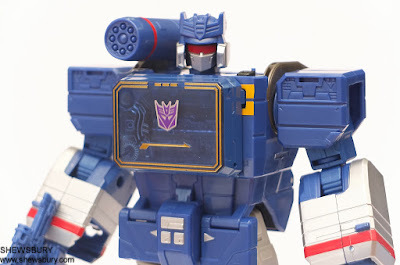 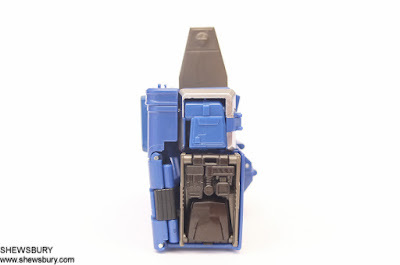 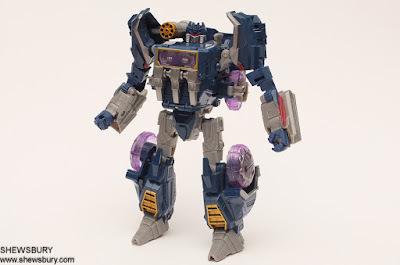 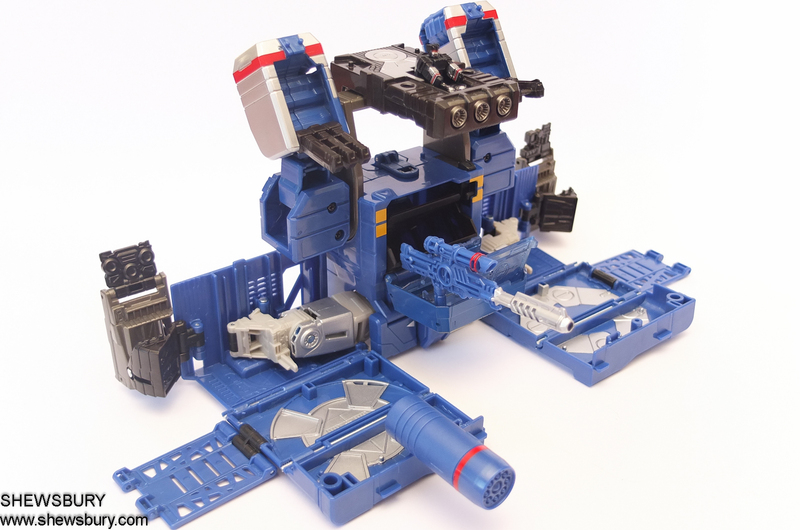 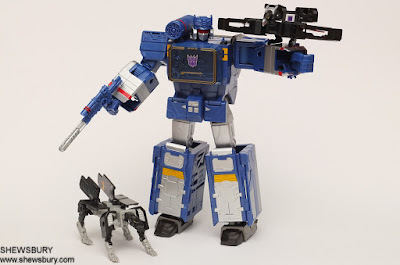 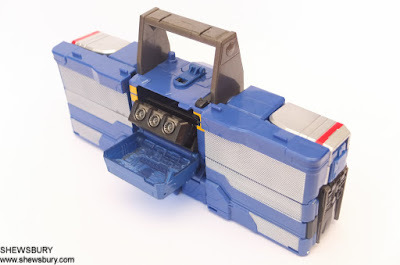 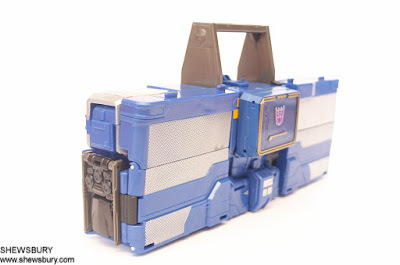 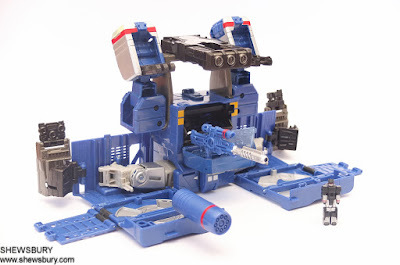 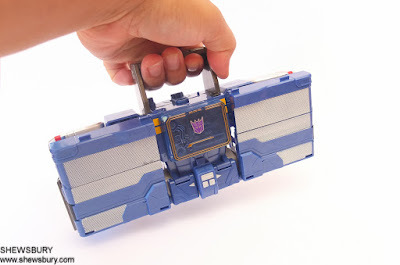 There is one thing that I'm a bit disappointed with this particular Leader Class Soundwave and that is about the storage space on the chest compartment. 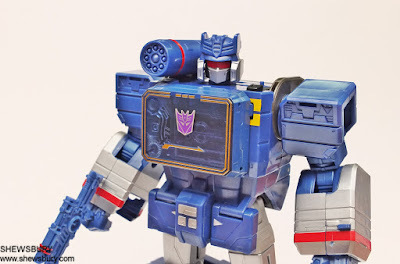 I had this Voyager Class Soundwave from the Fall of Cybertron series and I really love the robot mode of that Soundwave because the chest compartment can store up to 3 of his minions (the data disc). 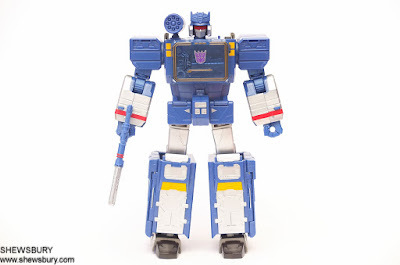 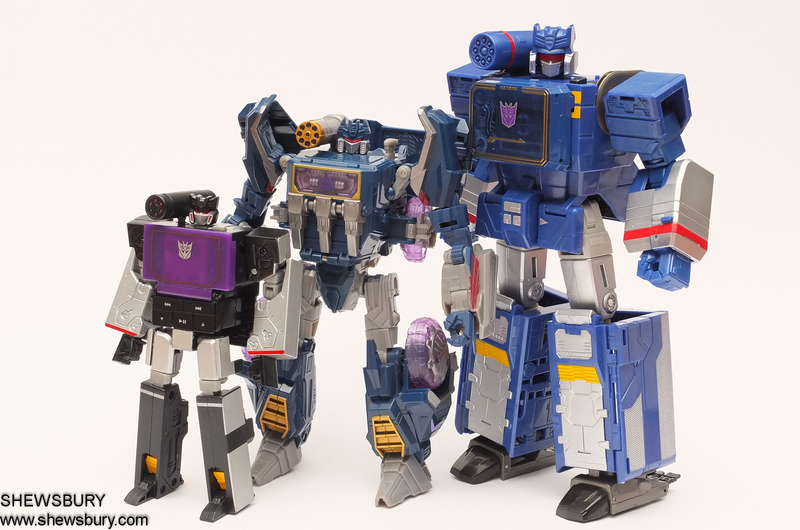 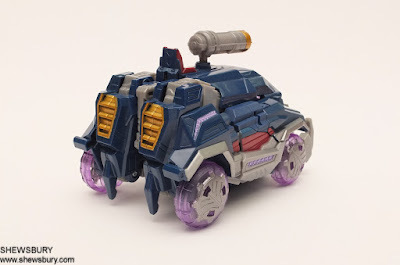 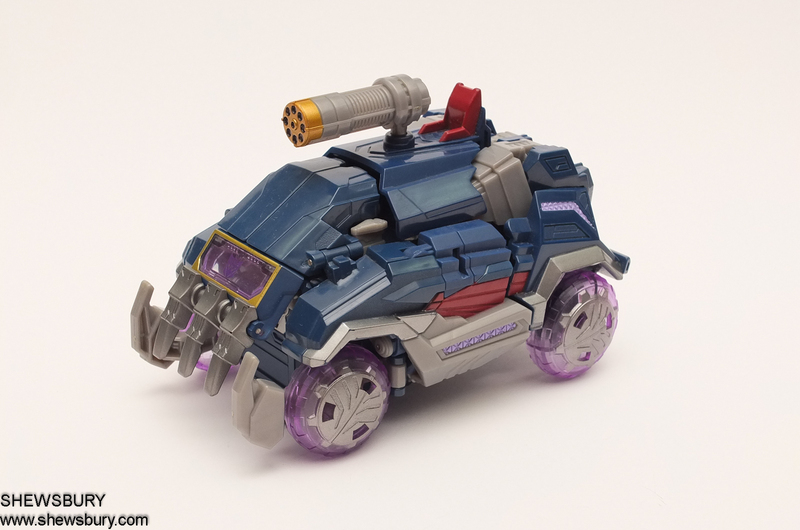 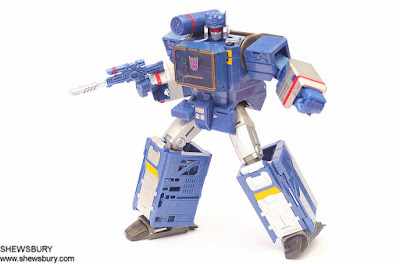 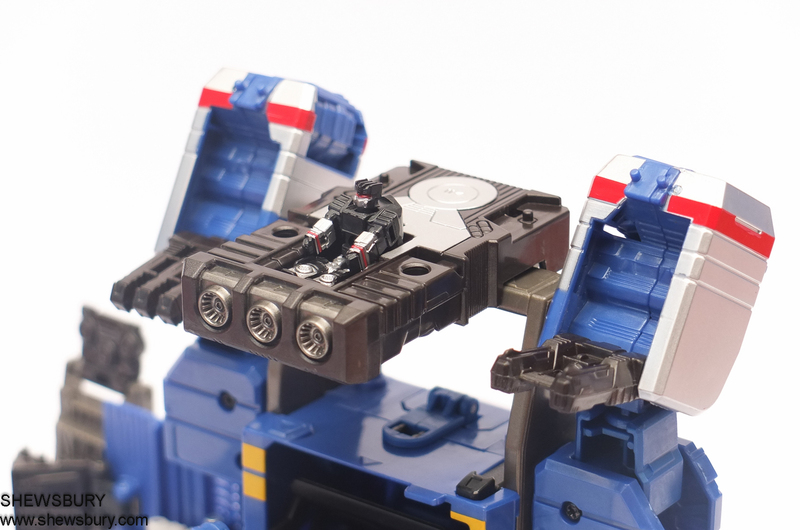 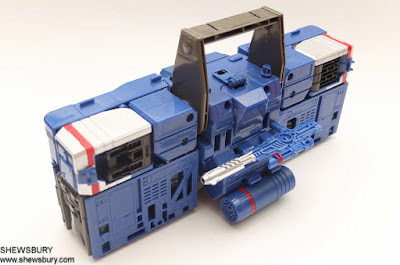 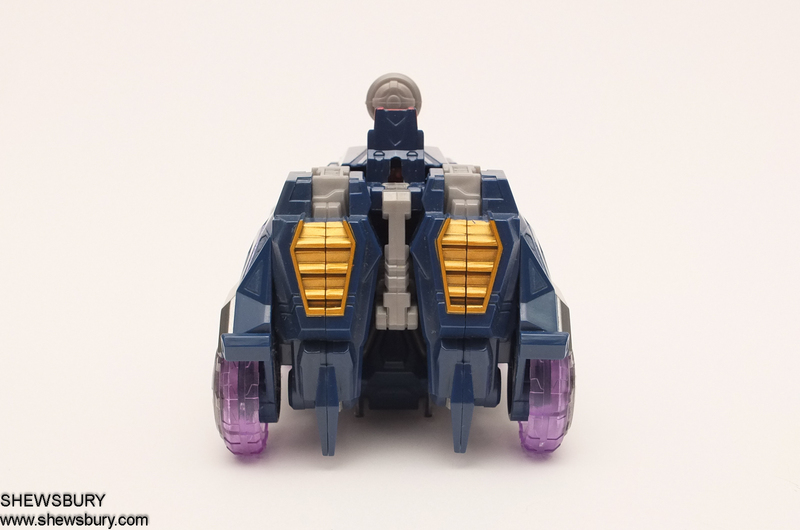 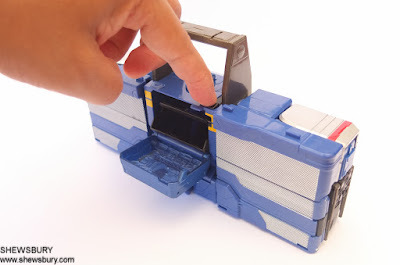 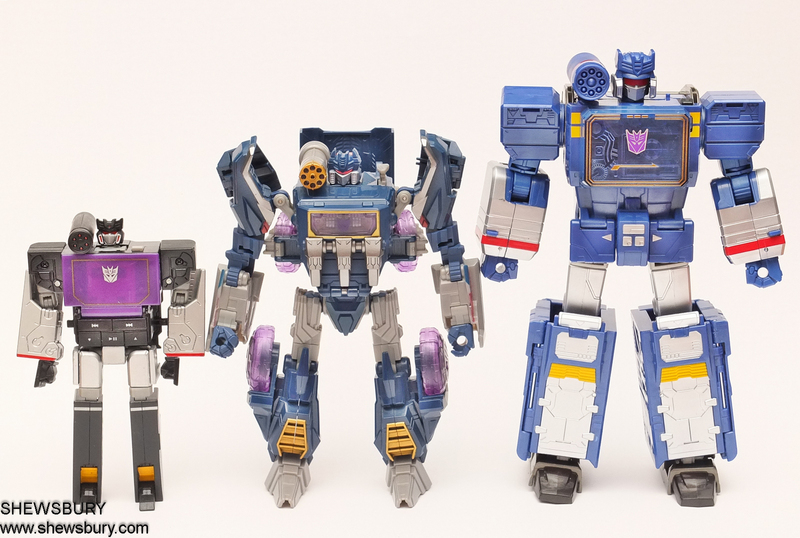 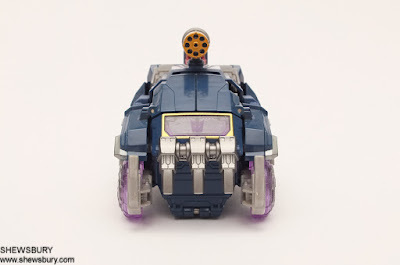 On the other hand, this Leader Class Soundwave from Titans Return can only store 1 "spy-tablet" or that rocket-sled thingy. The size is bigger, so it's normal for me to have such expectation but it ain't so. 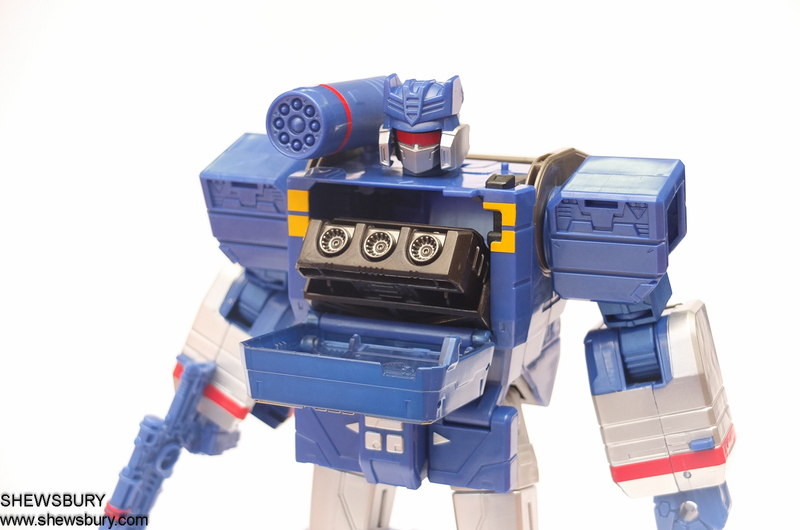 This is the very reason why I don't bother to look up further for the 3rd Soundwave minions in this series which is "Rumble". 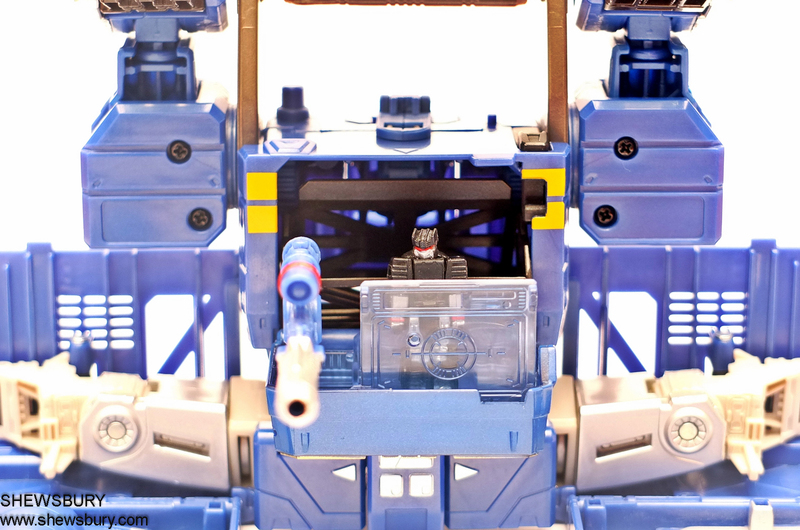 He is the best out of the 3 of them especially in his tank mode. 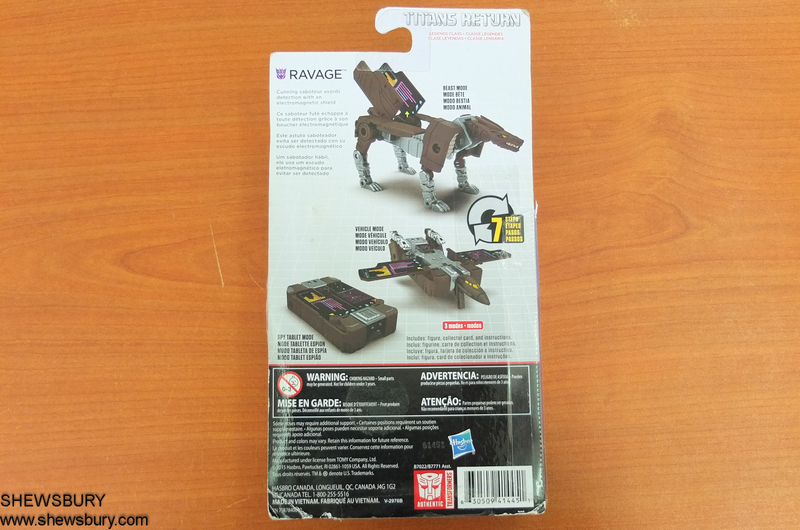 I would buy it if I happen to accidentally found it in any local toy stores with standard original retail price or discounted price but beyond that, I wont be rushing. 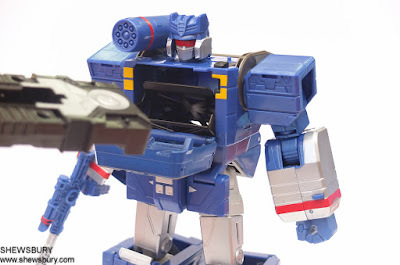 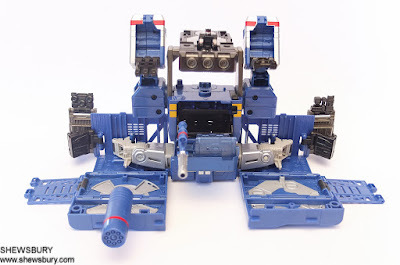 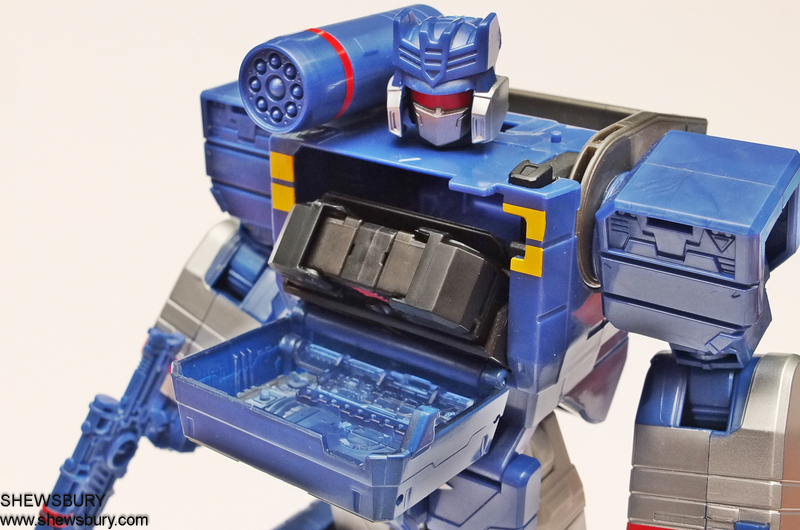 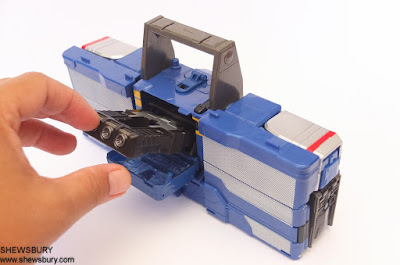 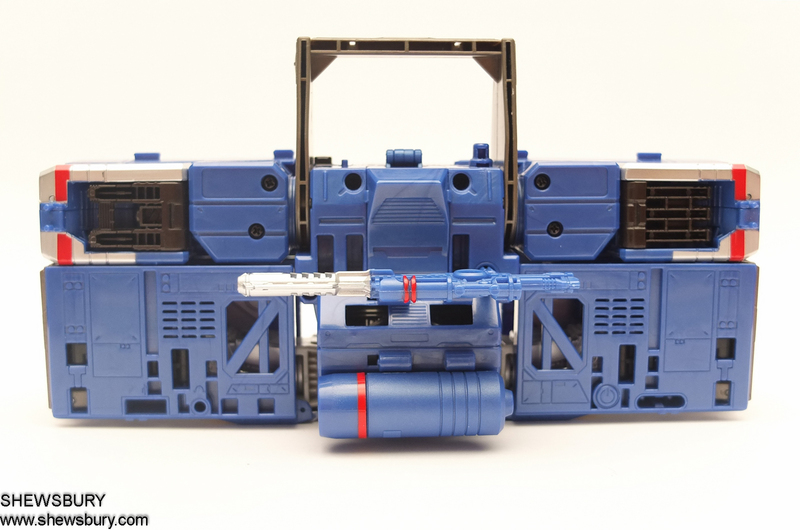 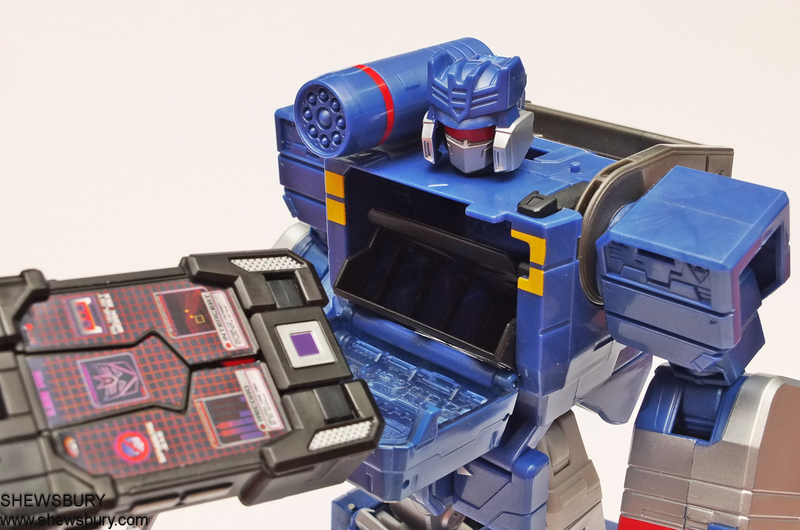 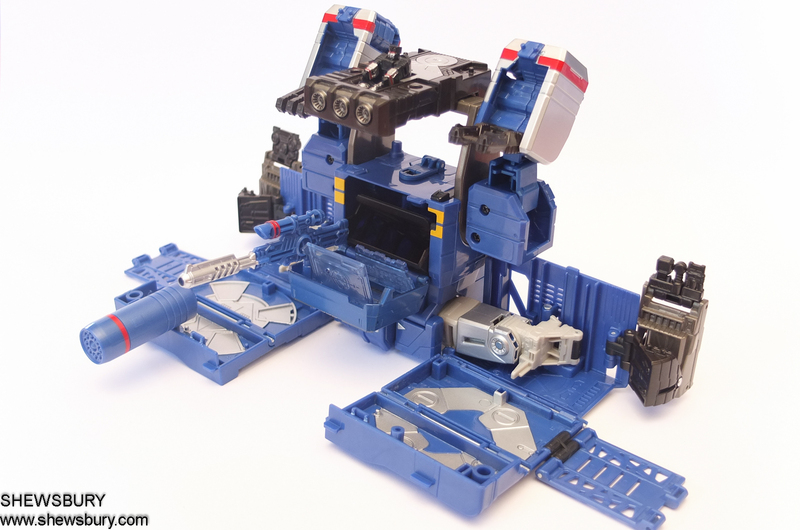 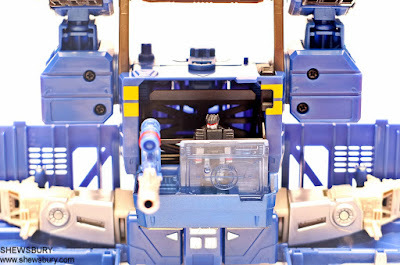 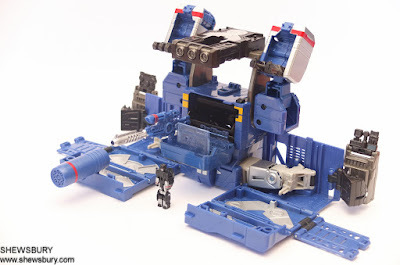 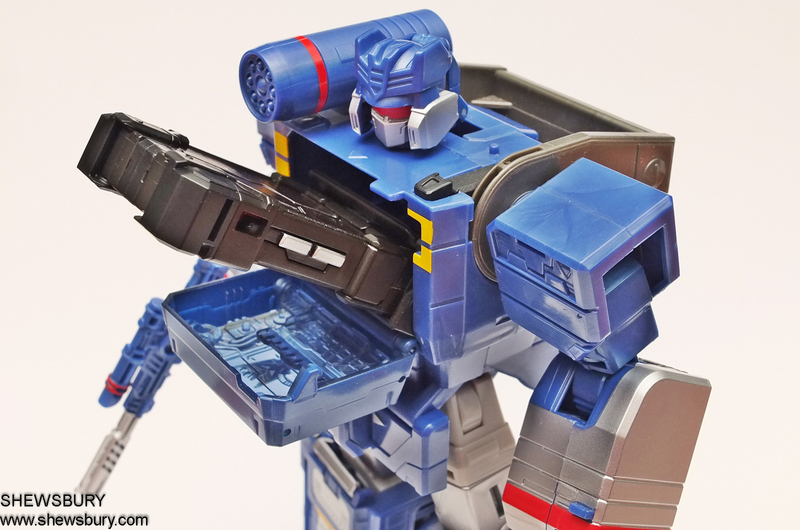 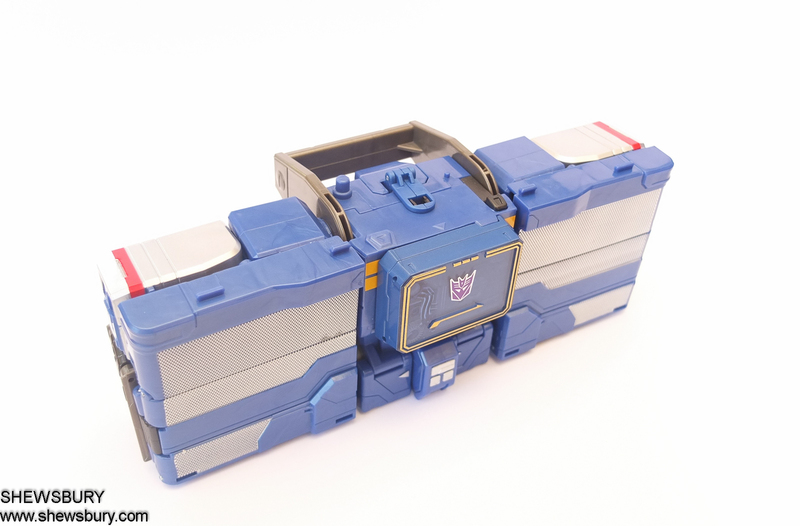 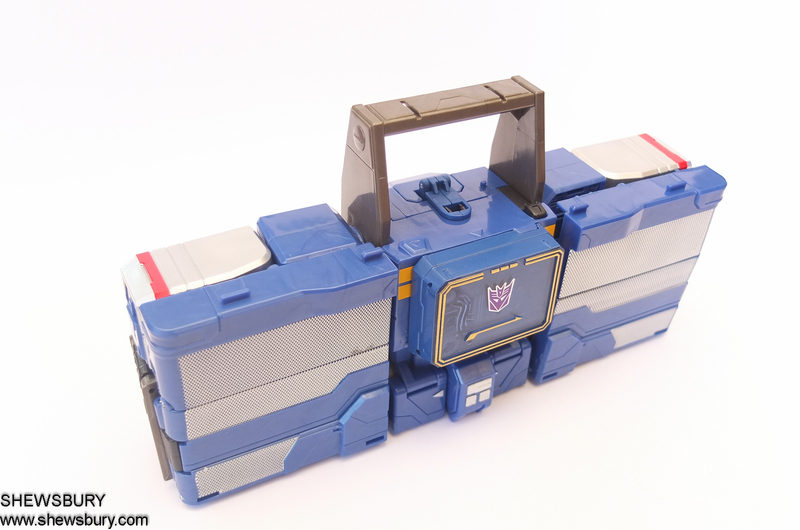 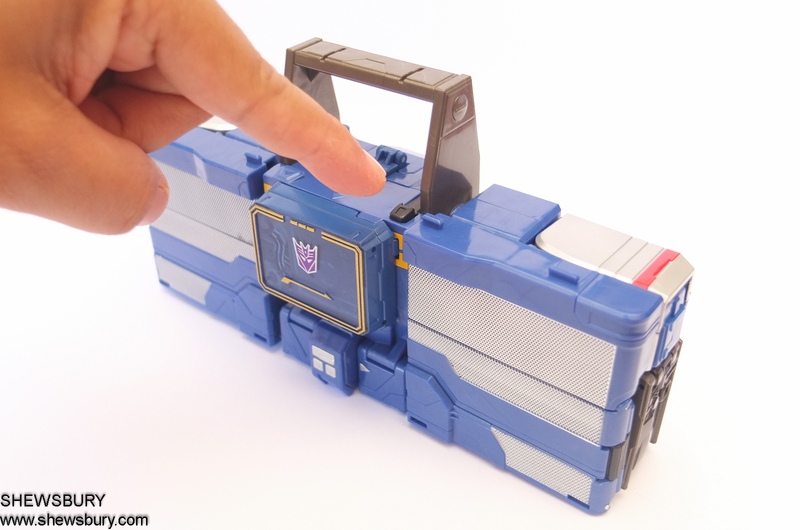 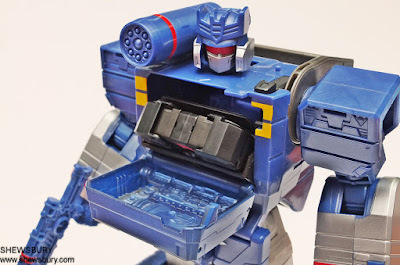 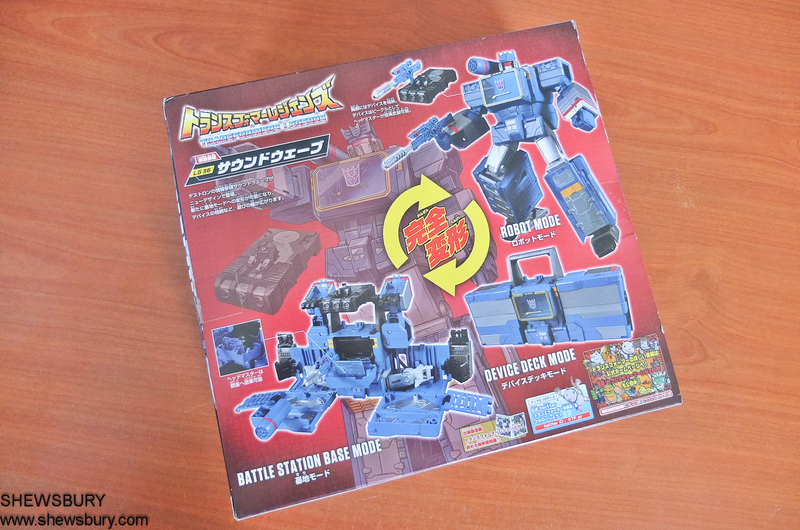 Overall, despite my little disappointment about the single storage space for the spy-tablet on the chest compartment, this Soundwave is a fantastic toy with great play value, a triple-changer with nice detailing and fun articulation capabilities. 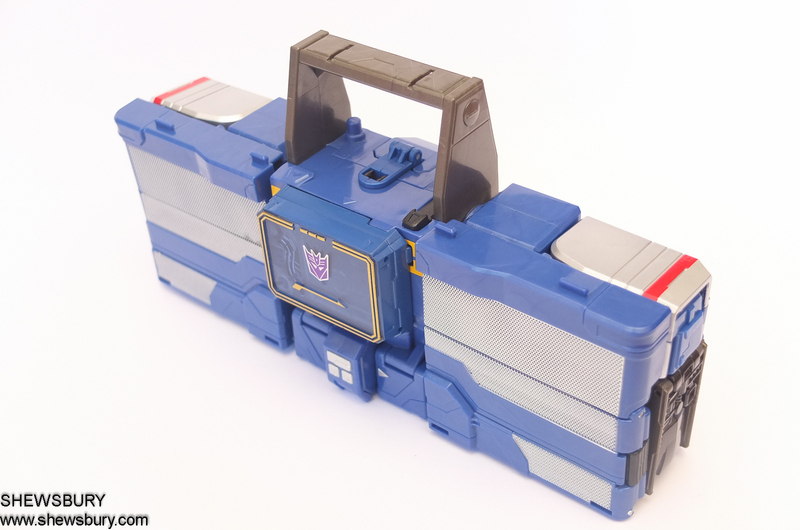 If only it can store up to 3 of his minions - those "spy-tablets" - into his chest compartment then I wouldn't have any complain and I would regard this as the second best Soundwave after the MP-13 but in this case - it is not!!! 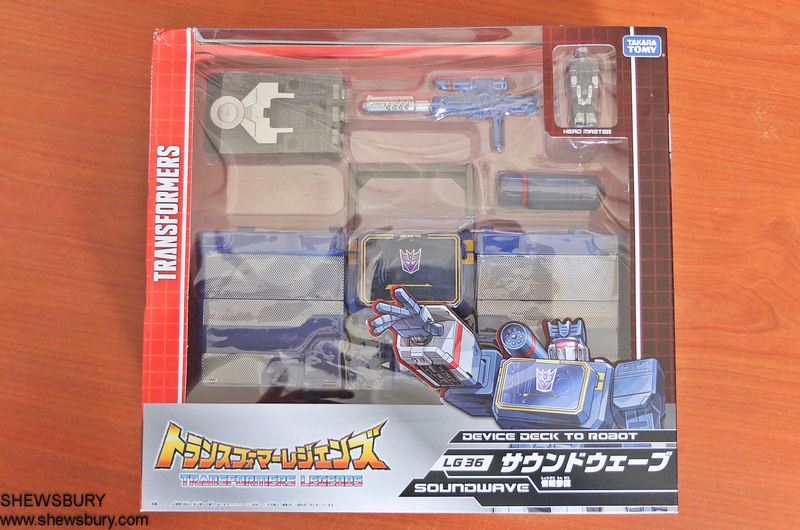 Most of the soundwave I have to say are always there in design and often still popular. 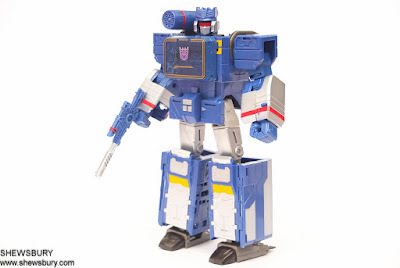 Even shockwave too!